Help people living with ALS today. Your generous donation will help people and their families living with ALS to access our patient services including support groups, mobile clinics, psychological support services and equipment loan program. Your support will keep alive the hope of finding a cure for ALS and provide quality care for those living with ALS. Andrew & Kathleen Eisen Endowment Fund – Proceeds from this endowment are directed to support ALS patient services provided by the ALS Society of BC. David Pendray Memorial Endowment Fund – The disbursements from this fund are directed to support patient services provided by the ALS Society of BC. George “Sonny” Williams Endowment Fund – This endowment fund was created in 2003 to support programs to benefit family caregivers of people living with ALS such as the annual caregiver days held throughout the province. 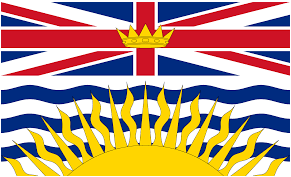 Pearmain Endowment Fund – The executive of the ALS Society of BC North Central Island Chapter established this endowment to honour the dedication of NCIC volunteers Gord and Jean Pearmain. Disbursements go to support the ALS Society of BC equipment loan program. If you would prefer to donate by mail or fax, please download this form and return it to us using the fax number or mailing address provided. You are also welcome to make your donation over the phone by calling us at 1-800-708-3228.